JOANNA-4 is a unique, pulled-behind, half-row berry harvester for black, red, white currants, aronia, gooseberry, saskatoon, haskap, wild rose, raspberry and fruits from other berry bushes. JOANNA-4 guarantees high performance, effective picking and a very good crop quality, with the minimum operating actions and constant working parameters. New cover and seal system eliminate fruit losses and increase cleaning unit efficiency. New ventilator system provides smooth air flow in a ventilator tunnel and a continuous stream of leaves and sticks. Black and red currants, chokeberry (aronia), bluebery, haskap, rose hip, raspberry, gooseberry - get more about harvest and care technique. Find machines for collecting fruits, planation care and for liquidation and rejuvenation. 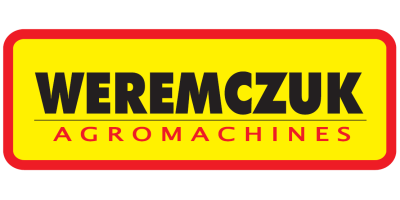 You find here innovative technologies and high-quality machines. 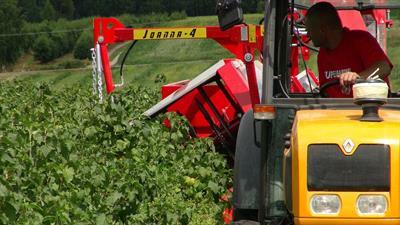 No reviews were found for Joanna - Model 4 - Half-Row Currant and Berry Harvester. Be the first to review!